China has been increasingly cracking down on Christians, Muslims, and Buddhists. Authorities are subjecting Muslims to an unprecedented amount of surveillance, shutting down Christian churches, and forcing monks to pledge allegiance to the state. The officially atheist Chinese Communist Party disapproves of all kinds of grassroots organizations as they are seen to undermine its grip on power. China is waging an unprecedented war on religion. Over the past year alone, China has detained Muslims because of their faith, forced Buddhists to pledge allegiance to the Chinese Communist Party, and coerced Christian churches to take down their crosses or shut down. The Party, which is officially atheist, has for decades attempted to control religious organizations to maintain its dominance. Its State Administration for Religious Affairs, set up in 1951, allows five religious organizations to exist under the state’s control: a Party-sanctioned form of Buddhism, Taoism, Islam, Protestantism, and Catholicism. The state controls these groups’ personnel, publications, and finances. Technically, citizens are free to practise religion freely, as long as their sect is officially sanctioned by the government. Party officials in 2015 introduced the term “sinicization” into official government lexicon, in which they called on Muslim, Buddhist, and Christian leaders to fuse their religions with Chinese socialist thought. But under the presidency of Xi Jinping, the government’s crackdown appears to have increased at an alarming scale. 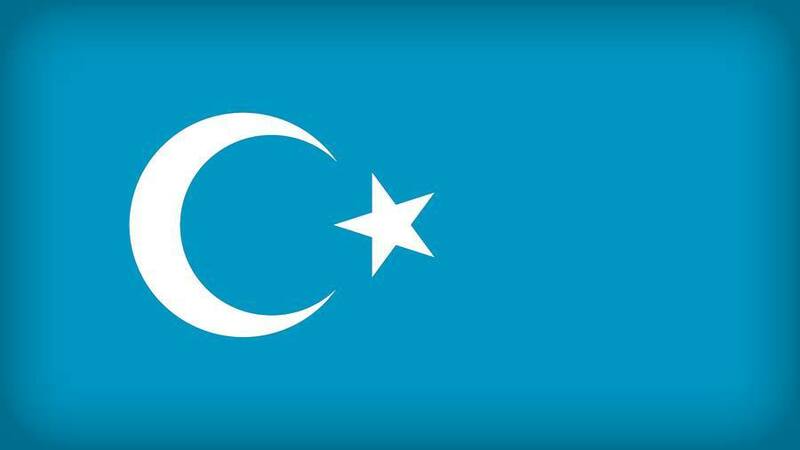 In the western region of Xinjiang, the home of the majority-Muslim Uighur ethnic minority, authorities have installed a massive police stateand reportedly imprisoned up to 1 million Uighurs. Many detainees said they were arrested for showing distinct markers of Islam, like wearing a veil or growing a long beard. The majority-Muslim Hui people, who are scattered around China, also fear that the government will extend its crackdown to them. In the northern city of Yinchuan, home to the largest concentration of Hui Muslims in the country, authorities have banned the daily call to prayer because it apparently created noise pollution, the South China Morning Post reported. The crackdown extends beyond Islam. Authorities have also targeted Christians outside the state-sanctioned Catholic and Protestant associations by burning Bibles, shutting down churches, and ordering people to renounce their faith, the Associated Press reported. Some churches allowed to remain open have to install facial-recognition cameras in the building, or risk getting shut down. Party officials censor and add state propaganda to pastors’ sermons, Bob Fu, who runs the US rights group ChinaAid, told France24. In September, authorities in China and the Vatican signed an agreement in which Pope Francis officially recognized seven Beijing-appointed bishops, who had been excommunicated because they weren’t approved by the Holy See. Critics said the deal ceded power from the Holy See to the Communist Party. The loyalties of China’s approximately 10 million Catholics are split between the Vatican and the state-supervised Chinese Patriotic Catholic Association. China has about 100 million Protestants, the Financial Times reported. Buddhism and Taoism — which has historically deeper roots in East Asia — is not exempt either. China restricts religious operations in Tibet, and spiritual leader the Dalai Lama remains in exile. Activists say the state monitors the daily activitiesof major Tibetan monasteries, limits believers’ travel and communications, and has routinely detained monks on terrorism charges— not dissimilar from the situation in Xinjiang. Earlier this year, China’s famous Shaolin Temple — an ancient Buddhist monastery believed to be the birth place of kung fu — raised the Chinese national flag for the first time in its 1,500-year history as part of a government campaign to demonstrate its patriotism. The Communist Party, keen to maintain its sole grip on power, disapproves of all kinds of grassroots organizations as they are seen to undermine it and disrupt internal stability. Wye, the former British Embassy official, said China’s keenness to exert control over religions is also to limit foreign influence.